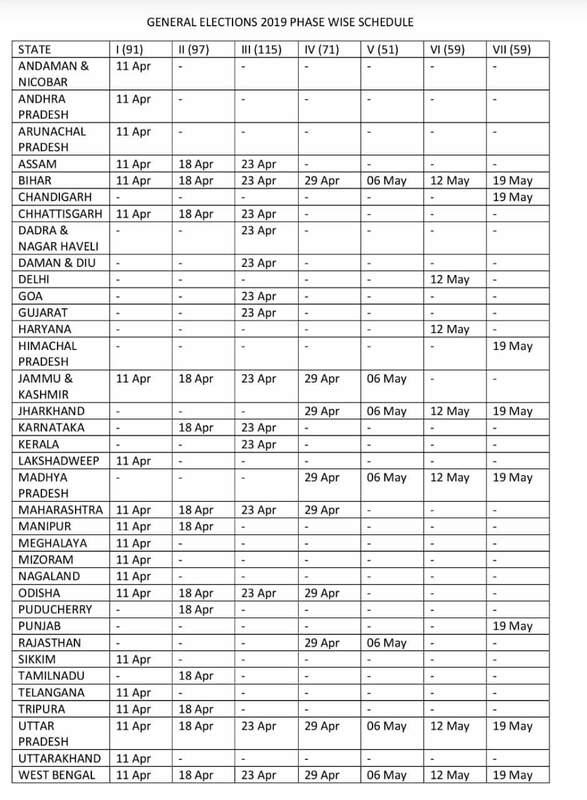 The Indian general elections, 2019 are to be held in 7 phases from from April 11 to May 19 to constitute the 17th Lok Sabha. The votes counting will be on May 23. 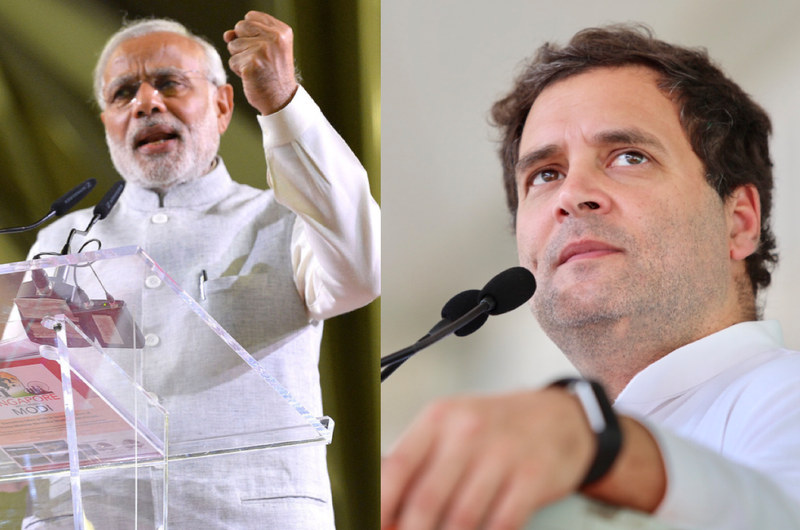 The counting of votes for the Lok Sabha Election will be held on 23rd May 2019. 33. Jammu Kashmir (6 Constituencies) - 11th April (2 Constituencies), 18th April (2 Constituencies), 23rd April (1 Constituency), 29th April (1 Constituency), 6th May (2 Constituencies) Note: There will be multiple dates for a single constituency in J&K.